The Lee Harveys have a substantial local fanbase, but don’t really engage with popular radio shows or mainstream media. “My other band, Paranoid Visions, entered the chart at number six, and didn’t get a review in Hot Press, or a single bit of airplay,” Peter Jones says of the lack of relationship. 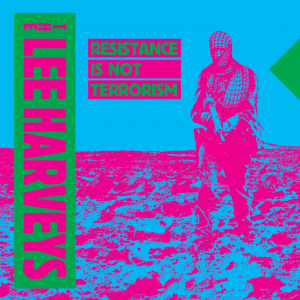 The popular, but under-represented punk scene that exists on the fringes of Dublin is full of bands like The Lee Harveys: interesting, pointed, and giving little consideration to their own success. They’re all the more interesting for it. Highly limited copies of ‘Resistance Is Not Terrorism’ are out on FOAD records on vinyl now.